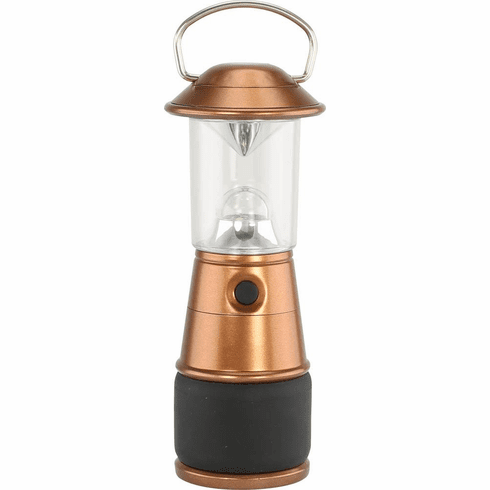 Set of two super bright LED light compact size copper color lanterns. 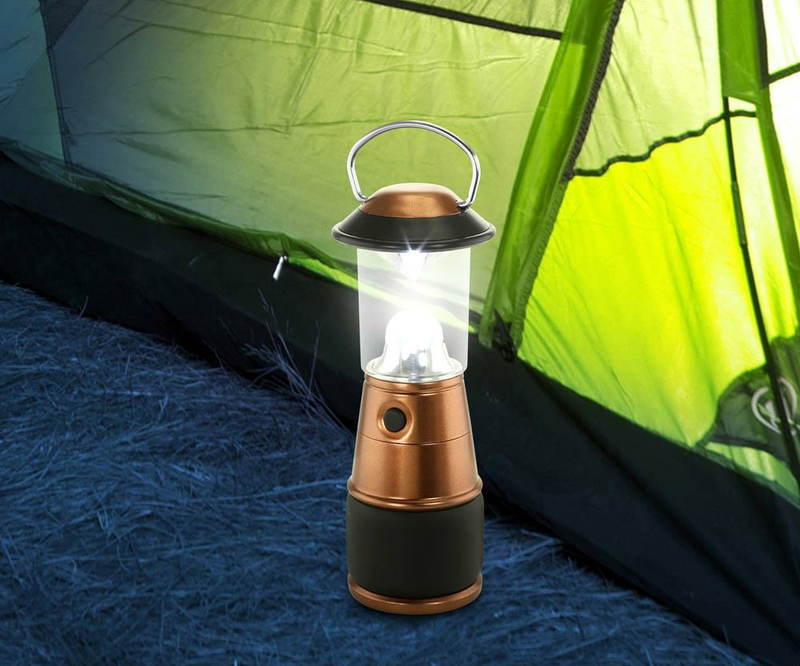 Both feature a flip up hanger and produce 80 lumens of light output. 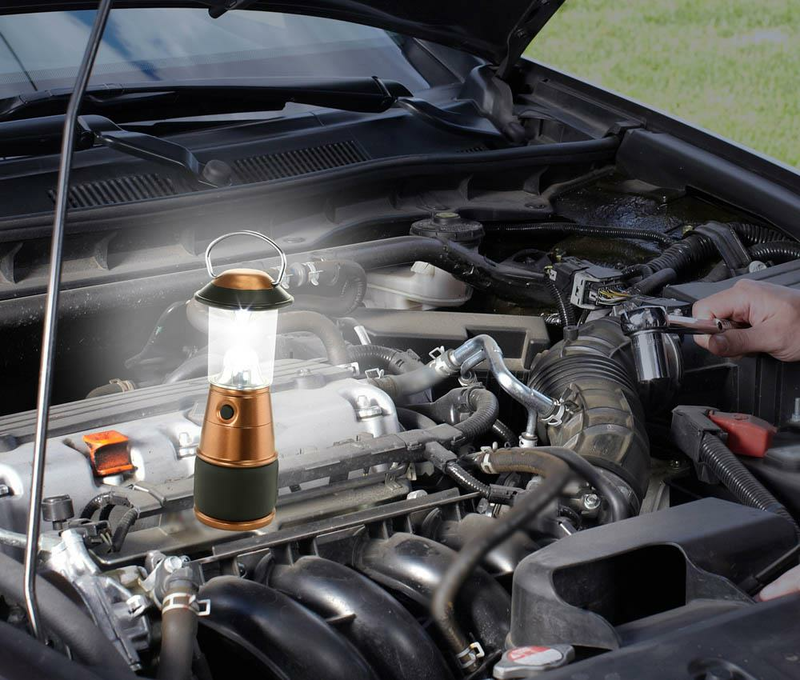 These are great for camping, around the house, your workshop or working on your car. Each is 2.25" x 2.25" x 6" high. Batteries not included. Weight 0.4 pounds. 9" x 2" x 11". Metal. 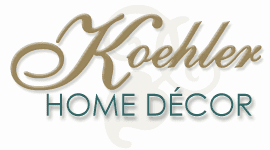 UPC Number: 841437111880.